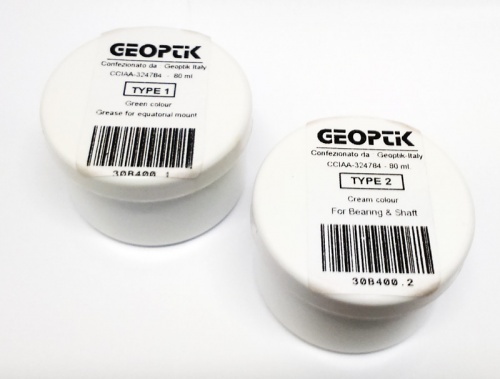 This handy kit comes with 2 greases for your equatorial mount. The first is simply for the internal gears to keep them lubricated for optimum performance. The second grease is for the bearings and shaft. This does take a bit of stripping down but again, this will enhance the performance of the mount is it is well greased and lubricated. Kit contains 2 x 80ml pots.